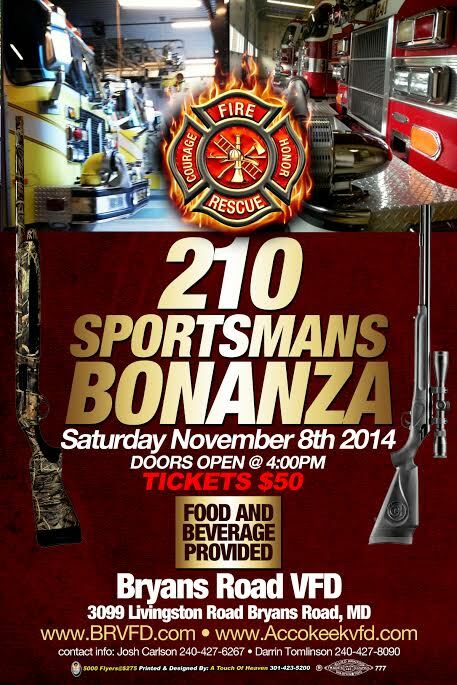 The Bryans Road VFD will be bringing back one heck of a great time AGAIN this year, with the 210 SPORTSMANS BONANZA!!! A chance to win a lot of great prizes!! 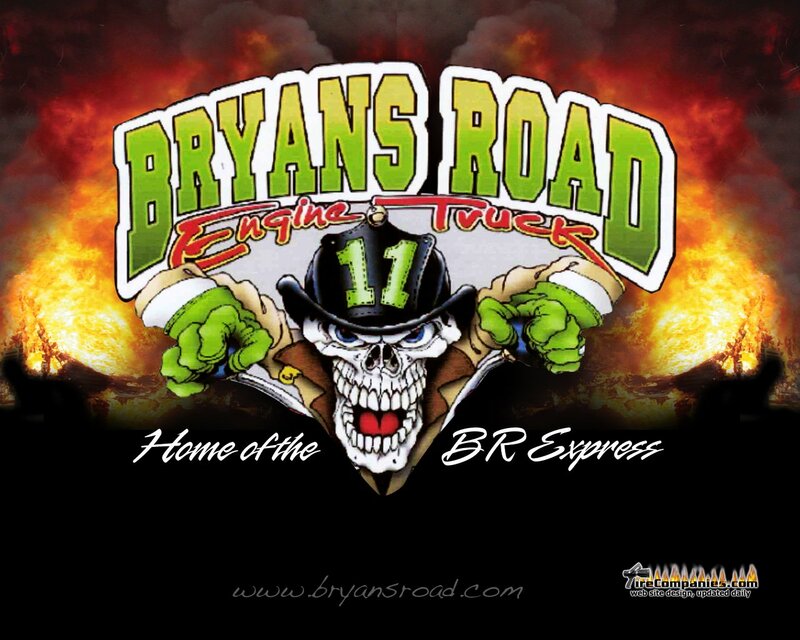 Saturday November 8th 2014 doors open at 4 pm, DALES SMOKE HOUSE from Indian Head, MD will be catering the event, a GREAT bar-b-que style dinner will be provided, along with hot dogs and hamburgers after the BBQ is gone! ALL food and Beverage will be provided! UNDER 18 CAN NOT buy a ticket, any one under 18 must be accompanied by an adult, MUST HAVE A TICKET TO ENTER. for those wishing to bring someone under 18 years old, there will be a $10.00 “cover” at the door for food and drink. !!!! To Buy A Ticket Online See Buy Now to Your Left !!! !